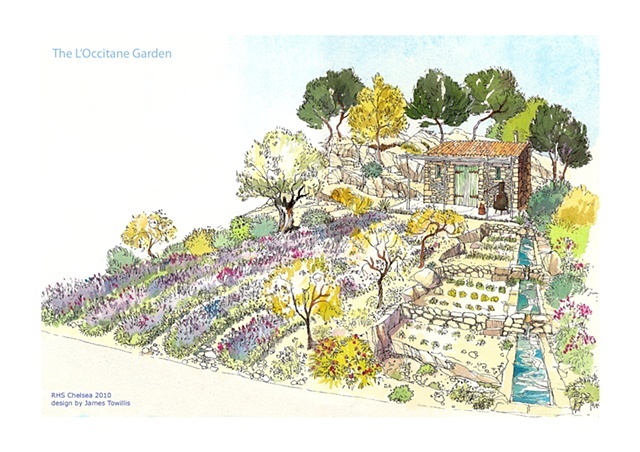 The landscape of Provence is the inspiration for The L’Occitane Garden, which recaptures Olivier Baussan’s vision when he set up the natural beauty company over 30 years ago. The garden features key plant species that are found in the warm, sunny climes of the South of France and the Mediterranean, including structurally appealing olive and almond trees and iconic lavender cultivars. The planting within this wild terrain is framed by the innovative use of original Provençal props, a water irrigation feature and a new rock-scape material being introduced at Chelsea this year.